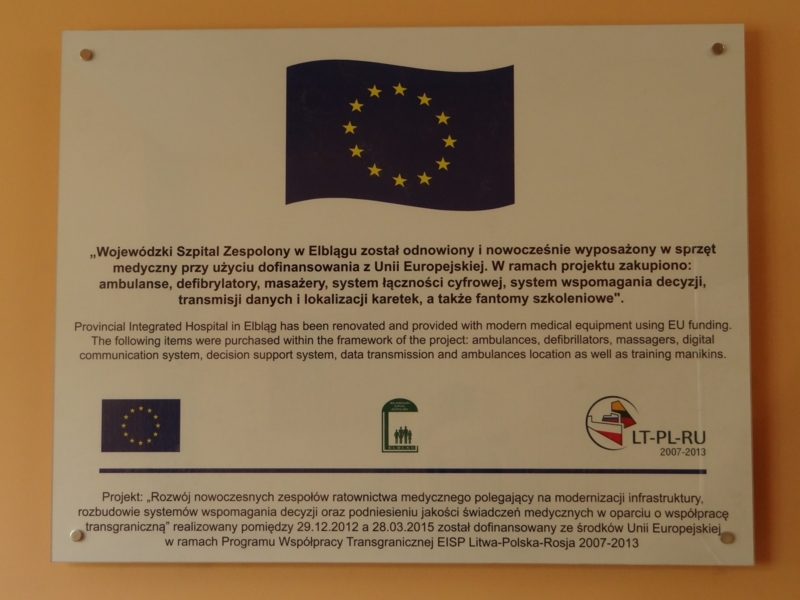 We would like to inform you that the Provincial Integrated Hospital in Elbląg has completed implementation of the project entitled: ‘Development of modern emergency units by infrastructure modernisation, extension of decision supporting systems and increasing the quality of medical services provided based on the cross-border cooperation’ within the Cross-border Cooperation Programme Lithuania-Poland-Russia on 28th March 2015. The Project has been implemented through the partnership of the Provincial Integrated Hospital in Elbląg and the City Ambulance Station in Kaliningrad. This entry was posted in News on April 10, 2015 by admin. 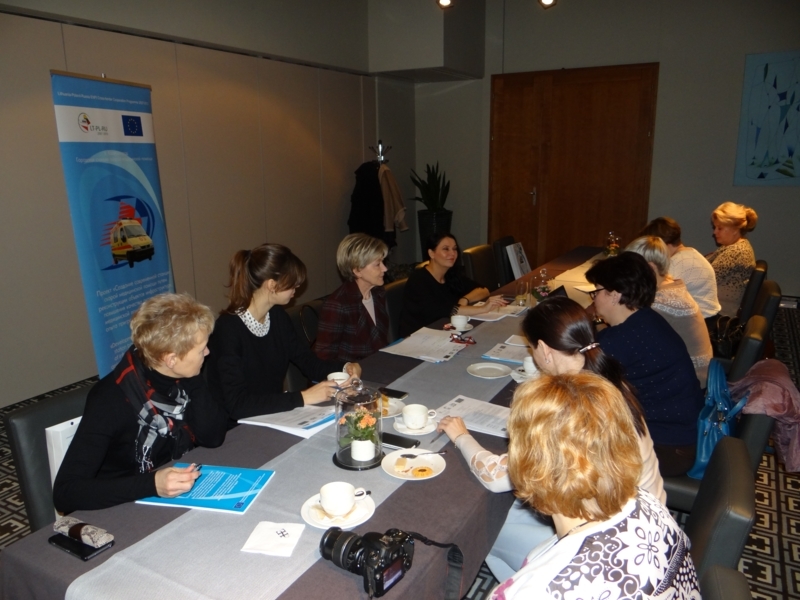 The Conference summarising the Project entitled: ‘Development of modern emergency units by modernising the infrastructure, extension of decision supporting systems and amelioration of medical service quality based on cross-border cooperation.’, within the Crossborder Cooperation Programme Lithuania-Poland-Russia was held on 16th February 2015. 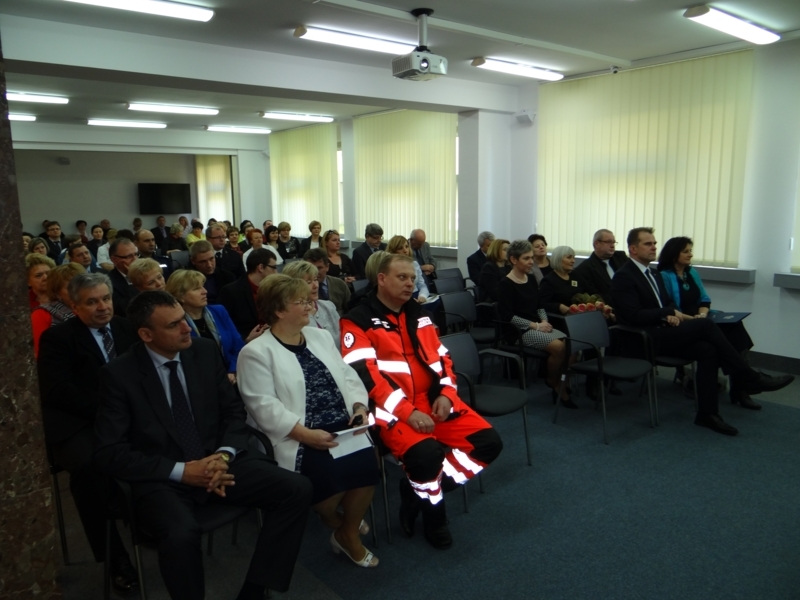 The Project was implemented by the Provincial Integrated Hospital In Elbląg and the Municipal Ambulance Station in Kaliningrad, operating as Project Partners. This entry was posted in News on February 18, 2015 by admin. The Provincial Integrated Hospital in Elbląg announced the Call for Tenders for the delivery of video laryngoscopes and devices for disinfecting ambulances. In the period from 27th November 2014 until 28th November 2014 the final meeting of the Project Team of the Municipal Ambulance Station in Kaliningrad and the Provincial Integrated Hospital in Elbląg took place. "This publication has been produced with the assistance of the European Union under Lithuania-Poland-Russia ENPI Cross-border Cooperation Programme 2007-2013.